JDC provided chuppot (wedding canopies) for use in Displaced Persons camps. 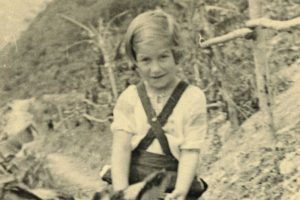 In the aftermath of World War II (WWII) and the Holocaust, JDCs far-reaching efforts to rebuild and sustain European Jewry touched upon every aspect of Jewish religious, communal, and cultural life. 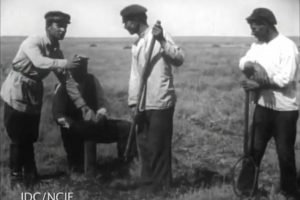 This commitment to revitalizing Jewish life included the production and dispatch of over 100 chuppot (Jewish wedding canopies), along with numerous other religious and ritual materials such as matzot, haggadot, and tallitot (prayer shawls), to Displaced Persons camps in the U.S. Zone. These canopies remained in production from the end of WWII in 1945 through late 1949. 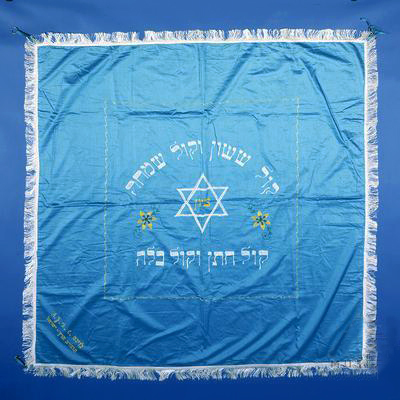 One of many JDC Chuppot (Jewish wedding canopy) produced for Displaced Persons camps after World War II. 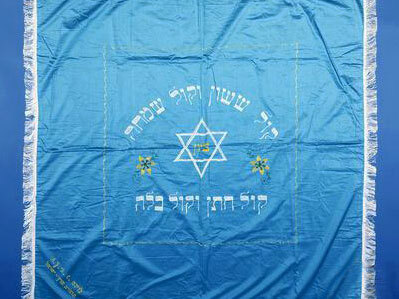 This chuppah is blue and white with gold fringe and features a large Star of David surrounded by the Hebrew word Zion at the center. Excerpts from Jewish wedding blessings enclose the Star of David, and the words Joint Product of the Land of Israel in Hebrew and AJJDC in English appear in the lower left-hand corner. One of these chuppot was discovered at a country auction in New York State by Jane Weitzman, a JDC Board Member, who purchased it as a gift for JDC. The chuppah is now on loan to the Yad Vashem Museum in Israel, where it stands as a testament to JDCs extensive commitment to reestablishing Jewish life across Europe and to enabling Holocaust survivors to rebuild their lives with dignity.